Slate cladding panels are the perfect solution for both exterior and interior walls. The natural properties of this outstanding material make them one of the best cladding systems in the market. 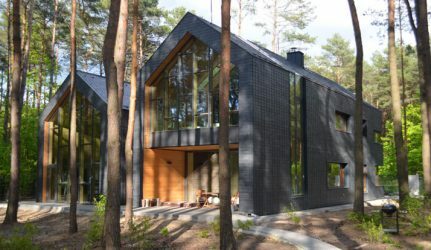 Contemporary architects consider natural slate cladding an optimal material for building. Thanks to its high performance, its low maintenance and durability, slate tiles have become a stand-out element in modern design. 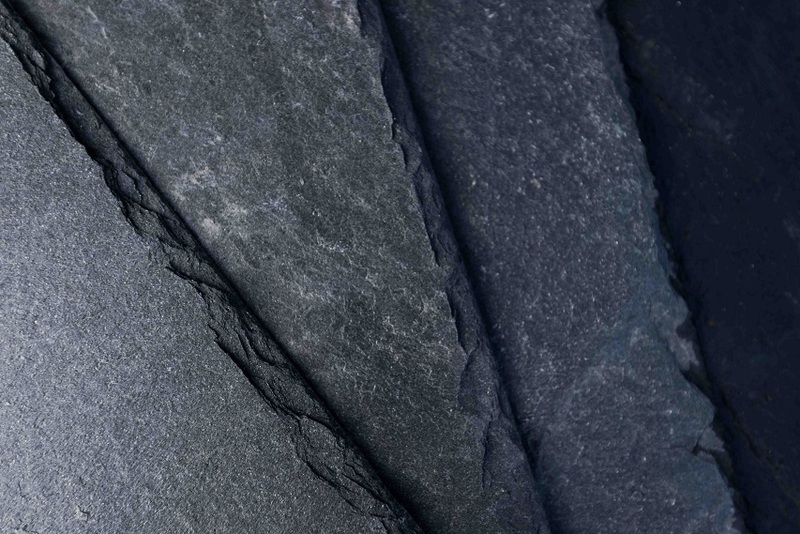 The key property of slate cladding is its water resistance. 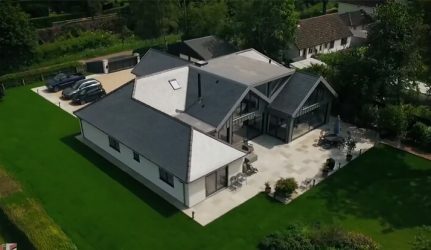 Comparing slate tiles to any other cladding solutions such as cement, slate cladding doesn’t only look more elegant and sophisticated, but it is also more sustainable. On the other hand, taking into consideration different natural materials such as ceramic or stone, slate is more resistant and long-lasting. 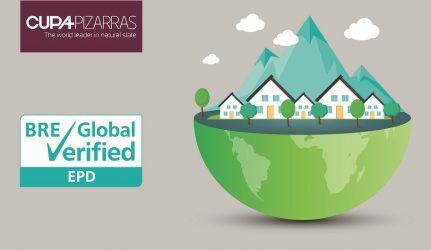 CUPA PIZARRAS commitment to quality and innovation has made us the world leaders in natural slate. The quality and guarantee of our products are guaranteed by the strict control applied to the entire natural slate production process, from extraction to processing at the plants. Thanks to its natural properties, the slate is only submitted to the processes of extraction and shaping. 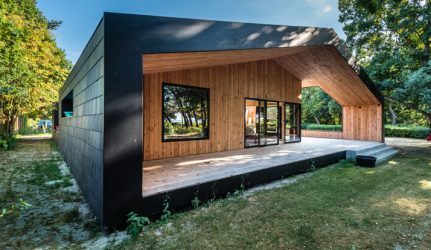 It requires no additional treatment, substantially reducing CO2 emissions into the atmosphere. 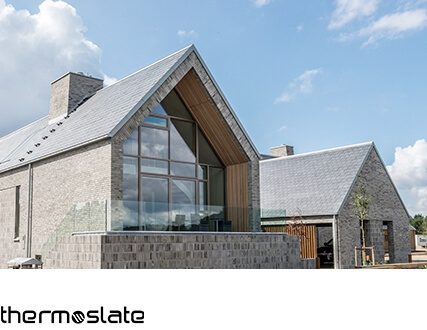 If we compare natural slate to other materials, its results in terms of air pollution, water and energy consumption, are the lowest, even to terracotta, zinc and fibre cement. Due to its natural properties, each stone has unique properties and performance. 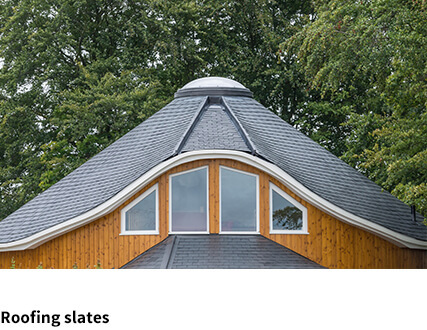 But thanks to its wide range of shapes and sizes, most architects and customers consider slate as a winner between every natural material. Natural slate cladding enriches the appeal of any building while affording more lasting and reliable protection than any other alternative. 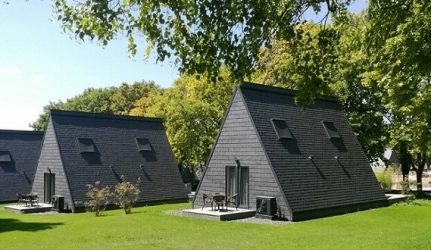 Architects recognize the value of slate for its unfading and weathering colors, ‘on-the-grain’ fabrication, durability and high quality standards. Leading the world in slate production since 1892, CUPA PIZARRAS develops new and more efficient construction solutions that promote the use of natural products, such as CUPACLAD®. CUPACLAD® is a ventilated facade cladding system with CUPA PIZARRAS natural slate. 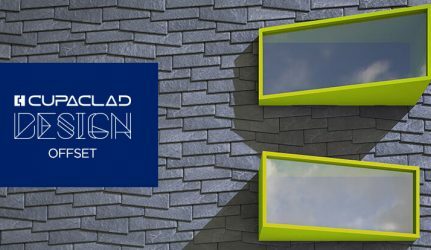 CUPACLAD® makes possible the installation of natural slate wall panels with horizontal orientation, offering new design possibilities for contemporary architecture. 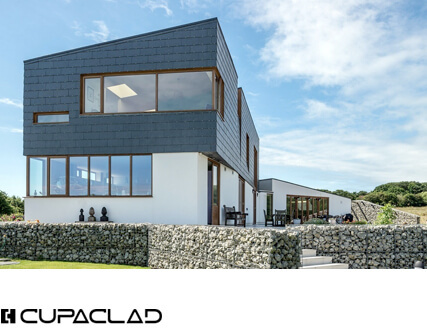 CUPACLAD® solutions are lightweight, easy to install and they help to create a modern building appearance. In new constructions and in renovation works, CUPACLAD® exterior wall cladding systems can be adapted to every architectural design. For further information about our natural slate ventilated facade systems, download here the CUPACLAD® brochure. 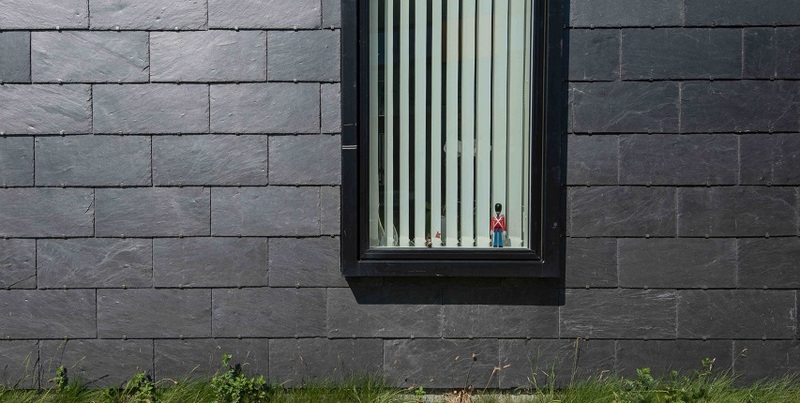 Take a look at some of our best projects with our natural slate cladding system. Download the CUPACLAD® inspiration brochure.